Our valued retailers are welcome to login to our site to view prices and buy our products. If you are an existing retailer and need your login details, please contact us. If you are retailer interested in stocking Moulin Roty products, please click 'Wholesale enquiry'. If you are a retailer of children’s products and you wish to stock Moulin Roty products, please fill out the form provided, and we will get back to you with login details so that you can view prices on our website. We look forward to hearing from you! Are you looking to buy a Moulin Roty product for your child or for a gift? Browse our list of stockists to find one near you, or contact us with particular product enquiries and we will direct you to the nearest stockist who stocks the product you require. Discover the new Les Petits catalogue. At the waterfront, a soft breeze sweeps you away with the poetic theme of Le Voyage d’Olga (Olga’s travels) to celebrate the new year with the Les Petits 2019 catalogue. You will discover new materials, colours and stories to tell . . . but also more detailed information on our products and ranges. Throughout the trip, note the little stars that highlight the new items for this year and stop over in the heart of the bedding and toy chapters which have been enriched over the years. 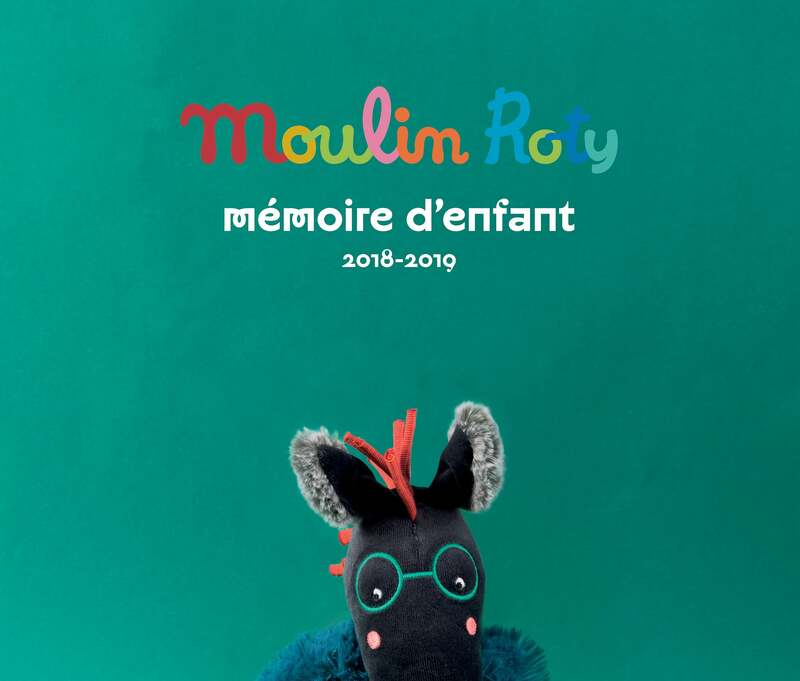 Here is a link to view our brand new Mémoire d’Enfant catalogue : ME 2018-19.